Thanks to the huge range of football betting markets available to punters, when you place a bet on an upcoming football game you no longer have to place a bet on a team to win or draw – which is now the most basic bet you can place online. Instead, you can bet on a big range of alternative markets. It becomes particularly interesting way of betting for those who are neutrals to a football match. We all want to see excitement and be entertained when we are watching a football game, and betting on goals, cards, alternative outcomes can bring that edge. While there are many different markets to choose from, one of the most popular would be anything relating to goals. So when it comes to goals there are a number of popular ways which you can bet on a game with some success. These are betting on markets involving the total goals in a game, who scores and when and betting on both teams to score. You will find other options like asian handicaps, time of the first goal, but these are a little more complicated and risky. A great place to start for newcomers who are betting on goals for the first time is the half-time full-time market. The half time full time market is one our favourites. Not because it’s always a winner, that’s far from the truth. But when you see an opportunity where a team is so likely to win that their odds are ridiculous, the potential for them to be winning the game at half and full time also increase. Now their odds will still be shorter (smaller) than most, but it’s better than say 1/3 for them to win the whole game. You may get something better like a 5/6 or better sill evens at 1/1. Lets say Man City are on a 5 game winning and goals coring run and they play swansea or crytsal palace. They’re clear favourites to win at 1/6, but they’re odds for half-time full-time are 4/5 – those are better numbers to me than 1/6 so I prefer to have them winning at the end of both halves for a chance of bigger returns. As a sports betting and football fan, it’s easy to get a feel for the outcome of a particular and game and that feeling can be enhanced by understanding the goal scoring efficiency of a team. Take the top teams for example Man Utd, Man City, Liverpool, Real Madrid, Barcelona. You know these teams have goals in them for all areas of the pitch, so it makes betting on goal scorers more accessible. That little it of extra knowledge can encourage gamblers to lean towards particular players. The added cushion of an ‘Anytime’ goal gives you slight cushion over the first or last goal scorer scenario. Naturally, the odds decrease when you pick a striker, as they are the most likely to score anytime in a match. But if you’re looking for better odds on scoring midfielders for example or the chance of a defender ‘nicking’ one, this is the market for that situation. One of the most popular ways to bet on goals in football is to use the total goals market. The general line used by bookmakers is 2.5, so you bet on whether there will be two goals or less in the game, or three goals or more. Using the .5 line, this means that it is two way and there must be a winner. This line cannot end in a draw. However, this is not the only line that you can bet on using this market, there are alternative goal lines to use. For example, if you think a game will be very high scoring and you are looking for a value single bet to place, you could use the over 3.5 line, or even the over 4.5 line. With the ability to change the line, you can place a variety of different bets and attack the betting market in any way you like. As well as increasing the line, you can also decrease it if you wish to give yourself a better chance of winning. The over 0.5 goal line is becoming increasingly popular with accumulator punters, who use this line to try and find a few bankers to put together. When using this line all you need to have is more than one goal in each game you choose. The odds are too short to place single bets, but you can place an accumulator on a few games together, and a lot of people now do this instead of placing a standard accumulator. The total goals betting market is certainly the most flexible when it comes to what you can bet on, and what type of bets you can place. Go for a value single on a big line, or lower the line to give you a list of odds on chances that you can put together in an accumulator. The opportunities are endless, and although this is a relatively new way to bet, many people are already doing it and everyone has their own method that they are implementing. The other common method of betting on goals in football is to use the both teams to score market, Betfred romped ahead with this market a few years back, branding it with the popular title goals galore, which is now synonymous with this particular market. This is not as flexible as the total goals betting market, but it is another very simple way to place bets on goals in football, rather than choosing a team to win. The market is as simple as it sounds, it is simply betting on both teams to score. The options are yes or no, so you either back that both teams will score in the game, or that both teams will not score in the game. Like many other forms of betting on goals in football, this game is ideal for neutrals that are looking to have an interest without choosing a team to win. When you watch a football game you are hoping to see end to end action, with plenty of goals. If you back both teams to score then if the game goes your way, you are likely to have a winning bet too. There is no real option to change the line here to enhance the odds or decrease them if you would like to place an accumulator. However, one way of using this bet to gain value is to change the type of bet you are placing. Instead of backing both teams to score, you can back both teams to score in the first half or both teams to score in the second half. 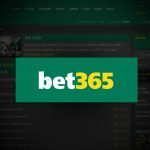 This will really enhance the price and make the bet ideal for a value single if you are looking to place a bet at a big price on this type of market. Like the goals galore concept, adding in a result will boost the odds to bigger values, but will increase the risk and lessen the likelihood of that outcome. For example Liverpool v Chelsea might be 5/6 for both teams to score, but for Liverpool to win and both teams to score might be a bit longer at say 4/1 rendering that outcome less likely. Goals are definitely where the majority of bets are wagered outside of the actual result itself. But with data recording become more detailed around a football match, it opens up opportunities for alternative bets. Throw-ins, cards, goals kicks, corners, free-kicks all being recorded as a number on a database, paves the way for anyone to challenge that outcome and bet on it. Its then down the ambition of the betting site to acquire that information and package it into markets for punters to gamble on. 1 card to be shown in the first 10 minutes, toal cards, first half throw-ins odd/even and so on. These alternative markets are often easier to predict than goals, if you know there’s an attacking game coming up, chances are lots of goal kicks & corners, or local derby might be a card fest if the stakes are high! In our modern era of data driven gambling we find ourselves open to accessing markets that are backed up by a variety of outcomes and bookies have started packaging these bets into a build you own bet slip styled combination strategy. Paddy power have the #whatoddspaddy hashtag on twitter, skybet have their request a bet contact feature and similarly Bet365 have a bet builder function that you can use on their website or app.